Yesterday, I mentioned that Dancers Unite was featured in the Catholic News Herald. Well, we are also mentioned in the latest Dilworth Quarterly! There’s an article about our school’s dancers! 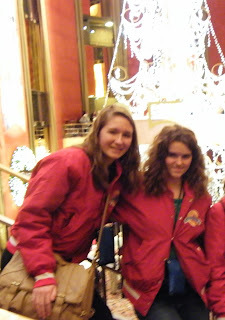 Malena and Allie, two Dilworth residents who are members of our Competition Company, danced in the 2012 Macy’s Thanksgiving Day Parade in New York City along with other dancers from Dancers Unite and other dancers picked as being the best in the nation. We are glad their amazing accomplishment was recognized! Having dancers dance in the country’s most famous Thanksgiving Day Parade watched by millions on TV is just one of the amazing accomplishments by our dancers since Dancers Unite was established, both regionally, nationally and internationally. For more information on other amazing feats, see our Dance Studio Accomplishment Page.